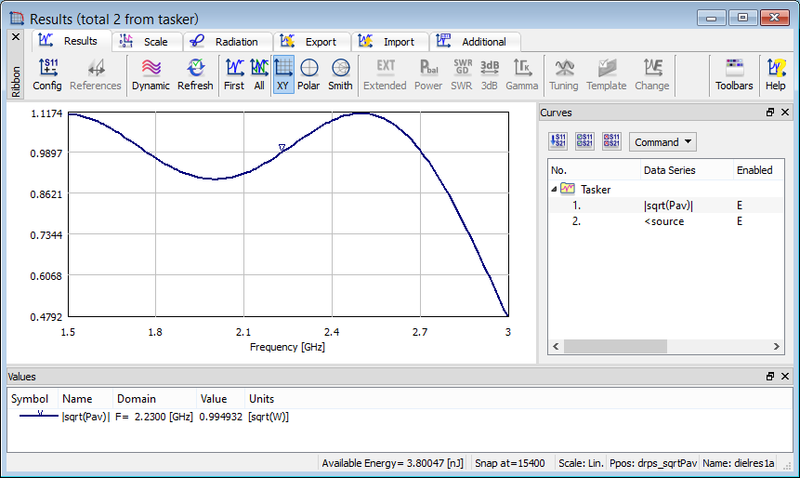 In some applications the user may be interested what is the total energy of the input pulse or with power flux obtained with ExH Time Integral post-processing. In particular, that information may be confronted with the total energy dissipated in the considered structure or with ExH Time Integral post-processing. Power Available post-processing provides information about the total energy available (in [nJ]) in the input pulse. The energy available from the source can be read from the status bar of the Results window. See also Power available from the source and online documentation about energy available from the source.